Latitude: 33.07530833, Longitude: -83.22836919 -- See location on Google map. Soldiers. See also Union Recorder, May 26, 1996, p.1. 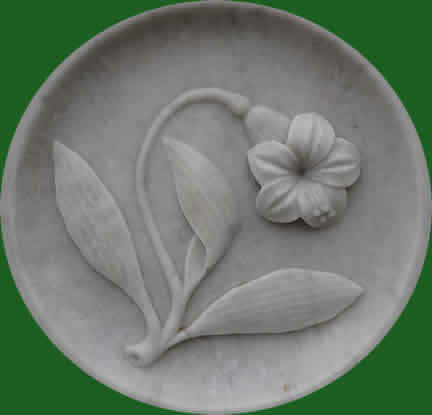 Same stone as Henry B. Jemison. 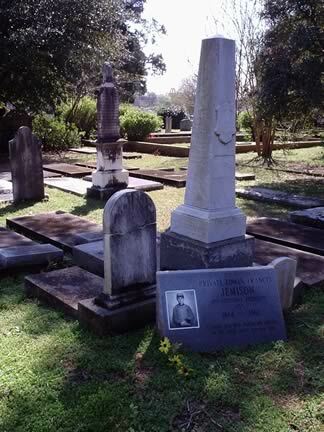 Edwin Francis Jemison, a member of the 2d Regiment Louisiana Volunteers, fell in the battle of Malvern Hill, on the 1st July, 1862, aged seventeen years and seven months. He was brave and honorable. 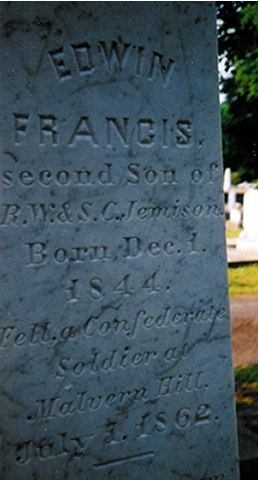 In the first call for volunteers to defend our rights his noble and enthusiastic spirit was one of the first to respond; and nobly did he, although but a child in years, sustain himself in the front rank of the soldier and gentleman until the moment of his death. Bounding forward at the order “Charge!” he was stricken down in the front rank, and without a struggle yielded up his young life. He was early dedicated by a loving, Christian mother, in baptism to God. 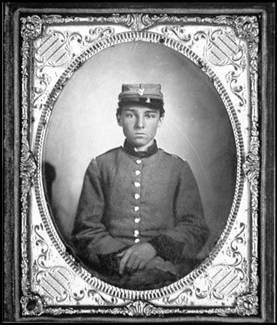 May he who maketh wars to cease, comfort the sorrowing parents whose boy lies, buried by loving hands, on the battlefield near Richmond.